Every good business leader is constantly on the lookout for a source of competitive advantage to give their business the edge. I believe it is time to stop looking outwards and turn your attention to what you already have, to the people right in front of you. People are a key strategic resource frequently overlooked. When hired in to the right roles, offered useful skill development opportunities and nurtured by good managers people can be the competitive advantage your business needs. A business’ workforce is more than a group of employees: they are the life of a company, their present and future. With astute leadership and management people can be developed and nurtured to become a sustainable competitive advantage. Individual knowledge, experience, skills, attitude and motivation can separate your employees from those of your competitors. Maximising the potential of your employees will enable them to spot new opportunities, attract and retain customers, innovate and increase efficiency. They however cannot do this alone; the responsibility for maximising this advantage sits with business leaders and managers. At SA Brain & Co Ltd we recognise our people are our greatest asset. Working in the service industry means, at every level, our people are the face of the company. It is essential we maximise their potential by developing the right skills and attitudes across our workforce in addition to ensuring staff are placed in the right roles to allow them to flourish. Last year we were named the Large Employer of the Year in the apprenticeship category at the National Training and Apprenticeship Cymru Awards. Our apprenticeship programmes were established to help develop our people in line with the company’s vision. They are a prime example of one of the ways we try to unlock the potential of our employees to generate real business results and stay ahead of competitors. In the current economy the pub industry is struggling with 16 pubs forced to close every week. Last year at SA Brain we took the decision to expand our business into one the fastest growing markets in the UK, buying the coffee chain Coffee #1. The UK coffee shop market grew by 7.5% in 2012 and is now worth £5.8bn. Maintaining a competitive edge is imperative as we venture into this fast growing market but regardless of whether they’re behind a bar or a coffee machine, our people remain the most important asset. 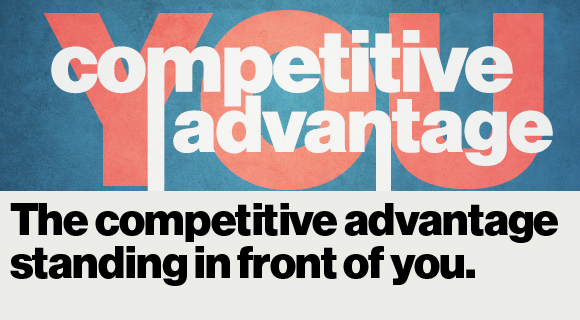 Achieving a competitive advantage is only the first step, sustaining it is the real test. In recent years we've seen how much staff value the opportunities we offer. They show the company is prepared to invest in people and help individuals achieve their future aspirations. This helps retain staff in an industry characterised by a part-time workforce as people can see clear progression routes within the company. SA Brain has taken on 375 apprentices in the last 5 years in addition to running a range of learning support programmes to nurture our employees. Ensuring the people in your business have the right skills, are in the right jobs and develop the right attitudes can give your business a competitive edge over competitors. 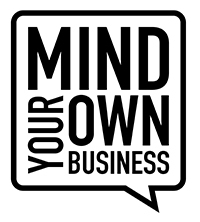 This year UKCES are launching the “Mind Your Own Business” campaign with key partners including CBI and BCC, to encourage business leaders and managers to see people as a strategic resource with the ability to make a lasting difference to business performance. A lack of training risks stagnation. Businesses that don’t train their people are 2 times more likely to go out of business than those that do . The campaign will encourage leaders and managers to take responsibility for nurturing employees and offer simple steps to help maximise the potential of their workforce. I encourage other business leaders to join the conversation at #myobiz and promote the development of right skills, right attitudes and right jobs across the UK. Brains Brewery isn’t just about beer or coffee – its Brains people. To get ahead of the competition, you have to have your right people, and nurture them.